Finding the right sports chiropractor can be confusing. I think our satisfied customers say it best. You make the choice. ⭐️⭐️⭐️⭐️⭐️ Do you want to get better or waste time? All I can say is that Dr. Sebastian Gonzales is the best sports chiropractor/ therapist! You can shop around for cost all you want but I can tell you I wasted tons of money and lots of time going to multiple doctors, chiropractors and physical therapists only to be misdiagnosed and told to do the same stretches I’ve been doing for years and/or to quit running (not an option!). It was only after I found Dr. Gonzales that I got better! Don’t waste your time & money looking somewhere else! Go get better! 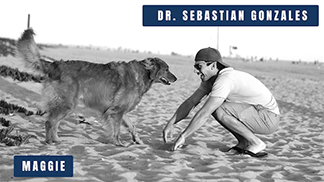 Dr. Sebastian’s knowledge and experience combined with always being at the forefront of updated knowledge and research is second to none. He provides a detailed understanding of the issues, and presents a clear path towards achieving your individual goals. If you want 10X results, this is the place. He is the BEST Sports Chiropractor in Orange County. ⭐️⭐️⭐️⭐️⭐️ Always Learning and refining his craft!! Dr. Gonzales is always up on the latest research, always refining his craft and looking for ways that his patients can help themselves understand the issue, define the issue and correct the issue! Equipping his patients with the knowledge and tools necessary to regain and maintain control over their situation. Thank you Dr G! I highly recommend Dr. Sebastian and Performance Place Sports Chiropractic to anyone that wants to recover and be an active participant in their recovery. Dr. Sebastian Gonzales, is a Miracle worker! If you have chronic pain, go see him! Don’t wait. I have been suffering with pain in my shoulder many months. Went to him yesterday, he worked on it and evaluated and today is much better. I will be going back for more! Excellent service and rehab facility, soft tissue work is amazing. Active Release Therapy worked well to reduce pain, especially for tight areas. Sebastian is very knowledgable on sports injuries and very understanding about what you’re going through. His weightlifting methods to strengthen the body for functional movements are revolutionary in the chiropractic/ therapy field. I would recommend a consultation with him even if your looking to improve athletic performance. Dr. Gonzales has been such a huge help to me. I can’t thank him enough! I love to run and am currently training for the Boston Marathon. I injured my hamstring and Dr. Gonzales got me right in. He is so knowledgeable and is always very generous with his time in explaining things. To me, peace of mind is the most important thing, so I have truly appreciated his assessments of my injury, his Active Release treatments and his advice on a plan for the most productive recovery. Thanks Doctor G! You’re the best. Injuries are a part of sports. Your current one probably feels like it will never go away right? Could this be the one that ends your sporting career? Here’s a little tough love for you. You can beat the injury or you can let it beat you. If you want my assistance in overcoming the injury you have a few choices. Click the one that best fits you. #3: I want to learn more about my diagnosis before I start my journey to get better. Unsure if I’m the right person to give you a game plan? Listen to my podcast or read my educational section. You’re going to love the quality of information on both. Check out my reviews as well. Make sure I’m the right doctor for you. I’m honest (Eagle Scout Troop 565, Huntington Beach) and I’m a local boy who graduated from Fountain Valley High School. Ask around. You’re friends may know me. If you are looking for a Sports Injury Prevention or Sports-Specific Strength and Conditioning Program in Orange County, CA you have come to the right place… but how you get it is up to you. If you like live in Huntington Beach, Fountain Valley, Long Beach or Newport Beach, just come in via an appointment. If you live over 50 miles away, you should setup a phone consult or enroll in one of our online courses. Just click through one of these button to get you there.